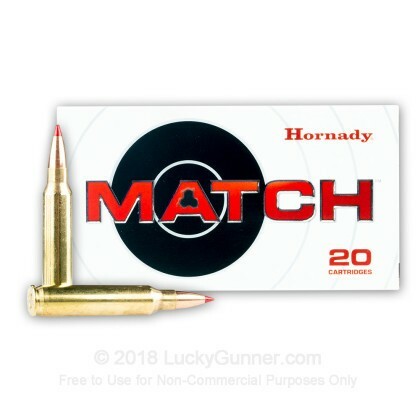 If you've ever wondered why Hornady has been an industry leader for nearly 70 years, pick up a box of this 223 Rem ammo and experience the impeccable quality of their match-grade ammunition. 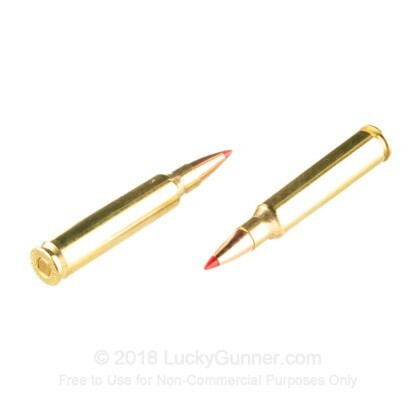 These cartridges are loaded with Hornady's ELD (Extremely Low Drag) match projectiles; the 73 grain ELD has a secant ogive shape, a tapered boattail, Hornady's Heat Shield polymer tip. These premium features ensure these rounds are more aerodynamic, accurate, and resistant to deformation than other cartridges in their class. 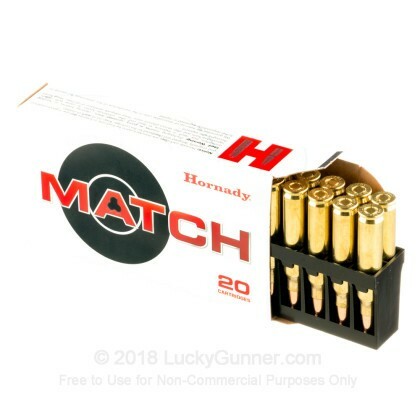 Hornady packs this 223 Rem ammo into new brass casings with Boxer-primers and clean-burning powders. 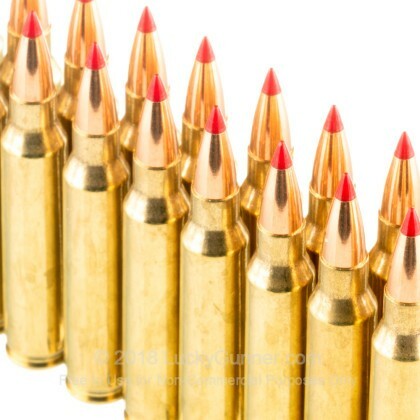 The consistency from round to round of this 223 Rem ammo is no accident; Hornady's quality control standards are among the highest in the industry, and they use state-of-the-art testing equipment (such as Doppler Radar) to ensure the highest possible performance from this match ammunition. 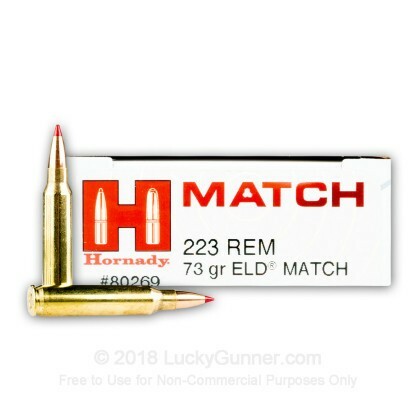 If you want a leg up on your competition, try this 223 Rem ammo by Hornady. 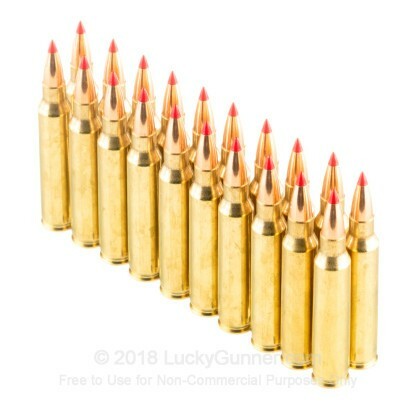 Order 20-rounds of this premium match ammo today!